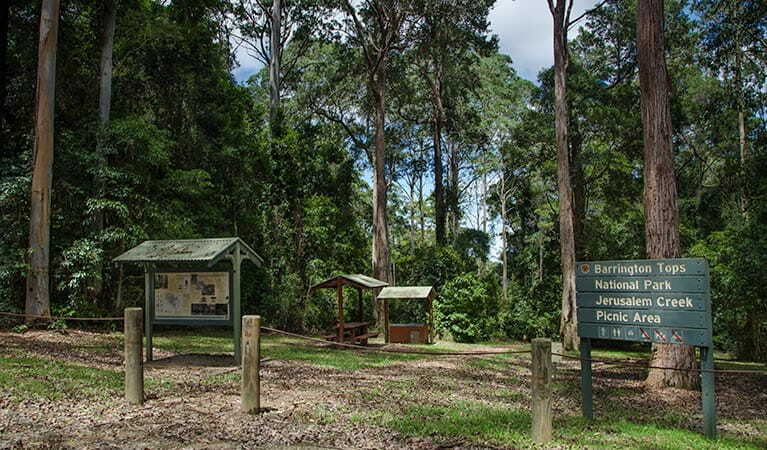 For a day trip in the rainforest, remote Jerusalem Creek picnic area offers walking, picnicking, and birdwatching in the wilderness of Barrington Tops National Park near Dungog. 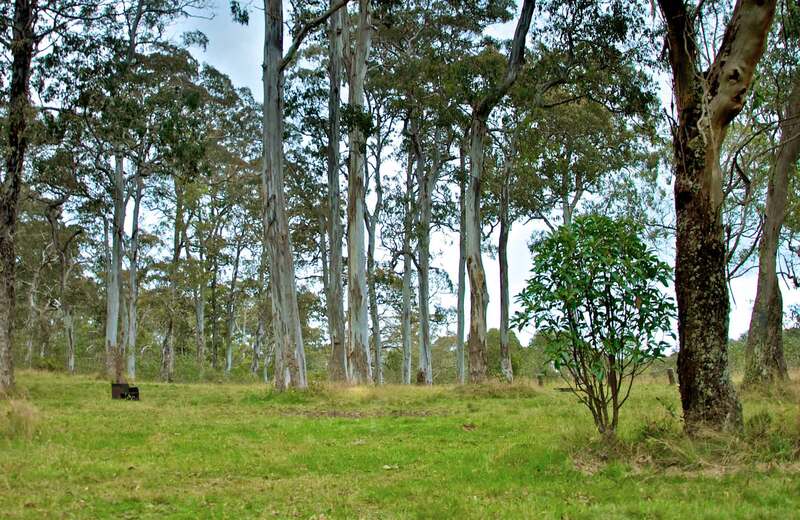 This remote picnic spot, in the most southerly entrance to Barrington Tops National Park, near Dungog, is a great escape from the modern world. 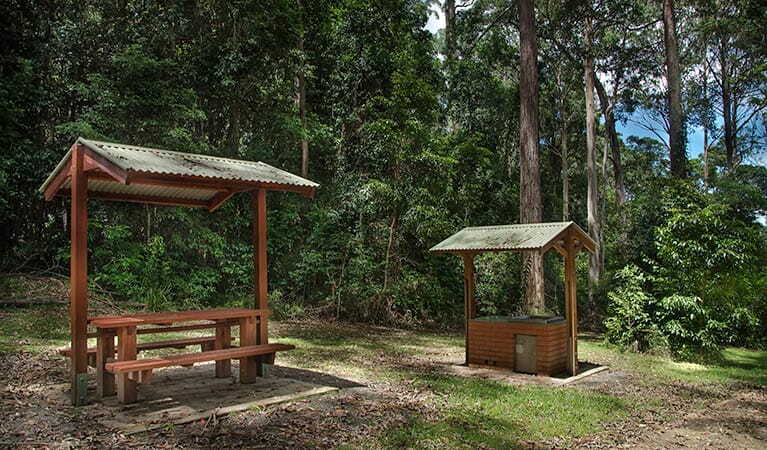 Jerusalem Creek picnic area offers a rare opportunity to experience the splendour of subtropical rainforest, in this World Heritage-listed park. Work up an appetite with a walk along Jerusalem Creek trail, passing waterfalls and creeks before heading back for a leisurely lunch among the blue gums and turpentine. The picnic spot is great for birdwatching, so take your binoculars. 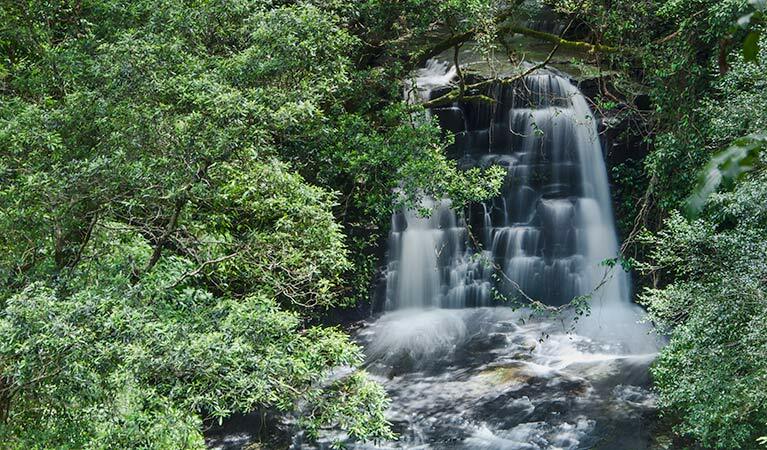 This protected wilderness provides habitat for a wide range of plants and animals, including more than 50 rare or threatened species, however you’re more likely to see satin bower birds, wompoo fruit-doves, king parrots, glossy black cockatoos, and lyrebirds.